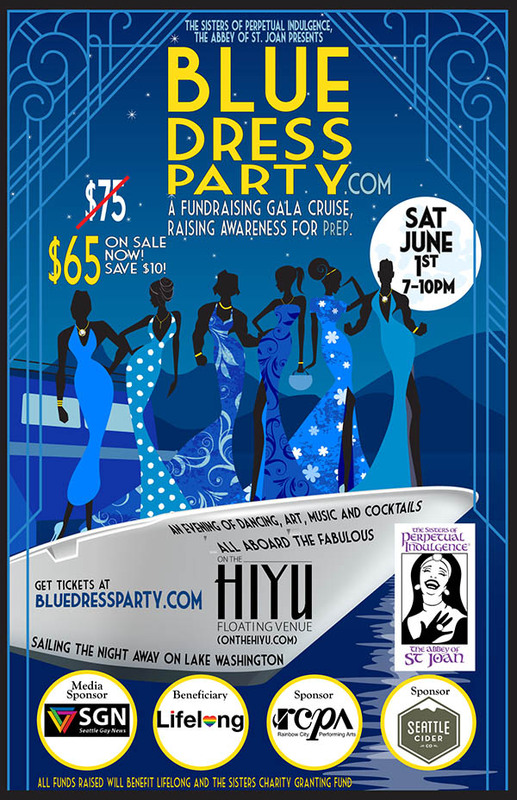 Home » Events » Blue Press Party! Our community has endured the battle against HIV/AIDS for the last 35 years, and the red ribbon has been the symbol of our efforts. For the past seven years we have seen great success in the prevention of HIV through the use of PrEP (Pre-exposure Prophylaxis), the little blue pill that is changing the strategies to preventing HIV. For this event, we create a new symbol for our efforts, using the blue color of PrEP to celebrate the medical advances in the prevention of HIV. Even though we have the powerful tool of PrEP, however, there are still many individuals that are not aware of PrEP or the avenues of access available to them. This event is about raising funds that can be used for outreach, education and access to these hard to reach communities, which is the critical next step in extinguishing this epidemic for good.